​You've got questions? We've got answers! ​Is it safe? Can the artist run away with my money? ​You're 100% safe with us! When you place your order, ArtCorgi keeps the money in escrow until the artwork is completed. If the artist doesn't deliver the artwork you will receive a full refund. If the artist completes your order, they will be paid for their good work! It's also important to know that a real, corgi-approved human will be guiding you and watching over your project from start to finish. So, if any problems arise, we will know immediately and we'll ​work hard to ensure they are solved promptly and smoothly. You won't have to worry about how to ​reach us, then wait for ages to hear back from us, then wait even longer for us to catch up with what happened and find a solution. We will be there every step of the way, watching over everything and keeping your chosen artist accountable. ​I don't have ​time to browse through hundreds of artists. Do you offer any ​'Done-for-you​' services to match me with the best artist for my project? Yes! We offer 'Done-for-you' where you tell us what you want and when you want it done by and we use that information to curate artists selections for your project. We find the artist for you, we help you with your draft review and you may even have access to special printing options! What happens after I place my order? How do I tell the artist what I want? ​After you've placed your order you will receive an email from us requesting that you submit ​reference photos and direction for your artist. In this form you'll be able to tell your artist what you want your artwork to feature and look like. You can be as thorough as you deem necessary or leave more creative freedom to the artist! It's up to you! We encourage you to submit enough reference photos, especially if resemblance is important to you or if you've ​ordered a realistic style. ​I haven't received the email with the form to give direction to my artist or the form is giving me trouble. ​We're so sorry for the inconvenience this may have caused you! If you haven't received the email, be sure to check your spam and promotions folders, just in case it landed there. If it's not there or the form is giving you issues, please send us an email at hello@artcorgi.com and we'll take good care of you​! ​Will I have direct contact with the artist during the process? 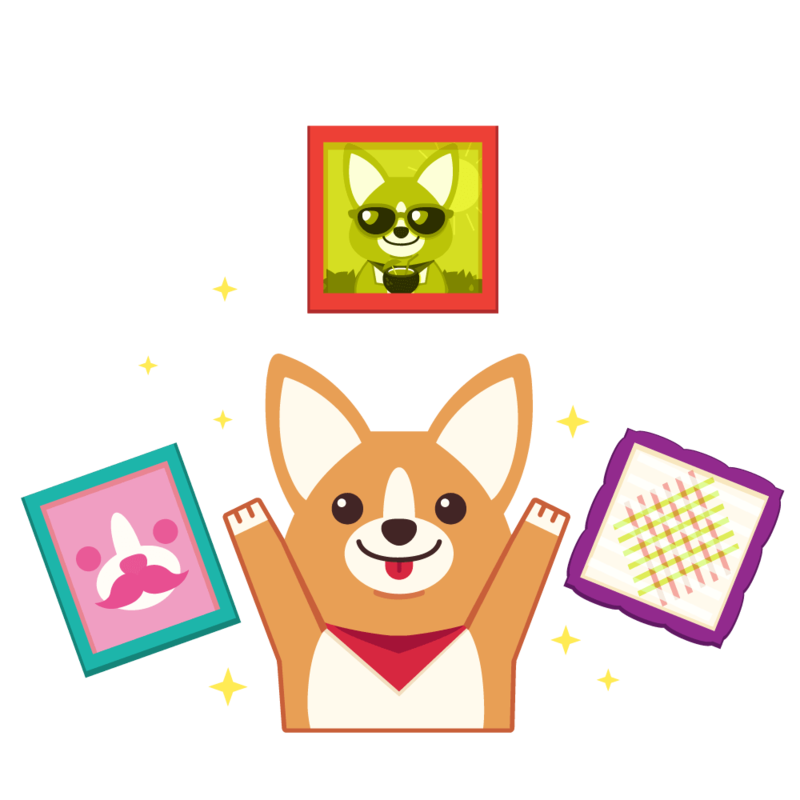 ArtCorgi manages all communications between clients and artists to ensure everything goes smoothly for everyone involved. While you won't be able to directly email the artist​, we will deliver any comments you may have for your artist and vice versa. The communication between you both will be smooth and prompt. You can check in about your order, provide feedback or let your artist know ​that you forgot a tiny but important detail in your initial description if you want! ​What happens if the artist turns out not to be available for my order? ​We regularly check-in with our artists to ensure they are still able to take orders on. However, life is unpredictable and your artist of choice may not be available to work on your order for various reasons. If that happens, you will have the option to apply your current credit to a different artist or receive a full refund. We will be happy to help you find a new artist if yours turns out not to be available. You will be notified within 48 hours if your artist is not available. ​What happens if the artist doesn't deliver my artwork or they're past their turnaround time? Artists​' turnaround times are specified ​under the "Description" section of their commission pages. If an artist feels they may need extra time to complete your order, they will ask for an extension that you are welcome to grant or refuse. If they don't complete the artwork within their turnaround time (or within the agreed time extension) you can cancel your order and receive a full refund. ​You will also receive a full refund if your artist goes AWOL on your commission. In these cases, said artist will be removed from our network. ​How will I receive my piece of art? Your final work of art will be delivered to you via email as a 3000 pixels width/height file at 150dpi minimum. If you've ordered a print from us, we will also ship it to your house. ​What if I don't like the draft I've received and want to cancel my order? ​You may cancel a commission order after receiving a rough draft if you notify us within 48 hours of receiving that draft. 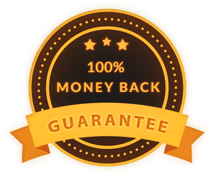 You will be refunded 50% of the commission’s original list price should you choose to not receive a final draft. The funds we retain will cover transaction fees, the draft work done by your artist, and ArtCorgi’s services. However, you may ​choose to provide more information to your artist and ask them to rework the draft to better portray what you had in mind and then proceed to complete the order. ​What can I do if I don't like ​my final artwork or have a quality dispute? ​We do not provide refunds if you are unhappy with the final piece you receive. Artists spend significant amounts of time to create original work, and so long as they deliver what they promise (i.e., work that meets our quality standards), they deserve to be paid. Whether work you ordered does or does not adequately depict your subject(s), the style, level of quality, or level of detail presented in the sample selected will be determined by a panel of at least five other artists who provide work on our site. We defer to the opinion of artists rather than ArtCorgi staff as artists within our network have a stake in our site’s reputation, but not our general profits (or those of the artist in question). Our network of artists will only review quality disputes, not all work that is delivered through ArtCorgi. If you do not submit a quality dispute for review on our quality assurance page within 48 hours of your work being delivered, we cannot provide a refund. ​Can I request changes to be done to my artwork once it's completed? You may request additional revisions to a work of art once it is finished, however they may be associated with an additional cost. Artists provide up-front prices on ArtCorgi based on the assumption that they will only go through one round of review, and as additional rounds of edits take additional time, most artists need to charge for those added edits. The price of a revision will depend on how complex the requested revision is, hence we will need to obtain a unique quote from your artist if you would like an additional revision to be made. You are free to accept that price and pay an additional amount to have that change made or decline that price and accept your commission as is. 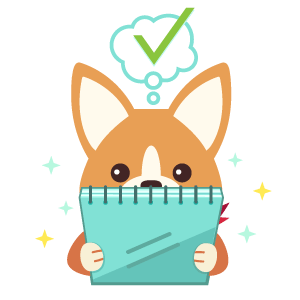 When requesting (and if necessary, purchasing) additional rounds of revision through ArtCorgi, you acknowledge that each round of revision is limited to one exchange: the delivery of your feedback and the delivery of your artist’s revised final piece. If you want further edits to be made after receiving a revised final piece, you may need to pay for an additional round of review. With this being the case, you acknowledge that it is your responsibility to give your artist as much specific detail as possible to ensure that he or she has the information needed to revise your work of art to your satisfaction. ​I have a question that is not listed here. Where can I contact you? ​If you have a question that hasn't been addressed in this FAQ, feel free to email us at hello@artcorgi.com and we'll be happy to assist you! ​Ready to commission your own custom artwork?